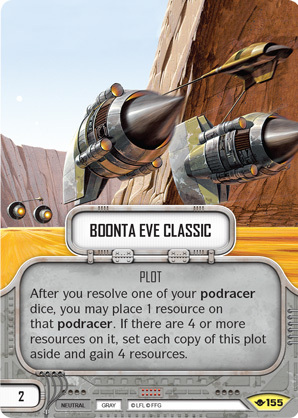 After you resolve one of your podracer dice, you may place 1 resource on that podracer. If there are 4 or more resources on it, set each copy of this plot aside and gain 4 resources. Way of the Force #155.